Simplify the process of setting up a budget in four easy-to-follow steps. This eBook is short, simple, and straight-to-the-point. You will learn the fundamentals of setting up a budget from scratch and a few pointers on how to stay on track with your budget. 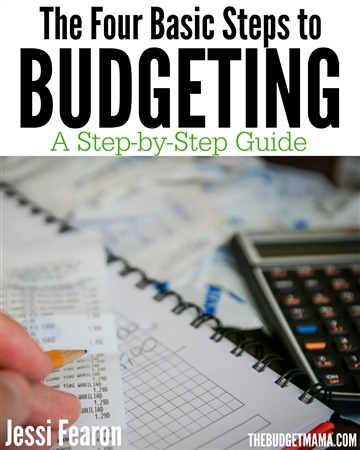 Use this eBook as a reference to refer to when revising or setting up your budget for the first time. Jessi Fearon is a wife, mom of two little boys, and writer behind The Budget Mama, a personal finance site where she shares her family's real life on a budget. She is devoted to helping others live well and thrive on a budget while becoming better money managers.